To all small business owners who feel that there are simply not enough hours in the day – you aren’t alone. SCORE tells us that HR work consumes 25-35% of an owner’s time, and 7-25% of that time is spent handling employee paperwork. Fortunately, the emergence of smart and affordable software solutions for small to medium sized businesses (SMBs) are allowing business owners to work more efficiently, freeing time to focus on the key aspects of growing their business. For instance, did you know that we, at Deputy, integrate with more than 300 top-tier business applications? This helps business owners save time and improve overall accuracy when it comes to time management, client billing and payroll processing. Ultimately, these tools help business owners work smarter, not harder. All of the solutions can be accessed via the cloud. That means no hardware (or the fees that go with hardware) for the business. Set up will be fast and painless in a cloud solution, allowing the business to implement right away and experience results much faster than when hardware is involved. Additionally, cloud solutions can be canceled when they are not a fit without great expense or the time cost of replacing hardware in the store. Most importantly, all of these solutions work together to keep your business running. With Small Business Week upon us, we wanted to share our top four SMB tech tools that, when integrated with Deputy, help effectively manage and engage employees, automate manual business processes and increase overall productivity. While there are several solutions we recommend, these are a few that we think are particularly well suited for the small business owner – especially for brick and mortar shops. Xero is an easy-to-use online accounting software designed specifically for small businesses to run accounting from their MAC, PC, tablet or smartphone. From obtaining a real-time view of your cash flow to instant collaboration with accountants and reducing manual data entry, Xero takes the stress of the financial forecasting process out of the equation for small business owners. Small businesses can fully manage finances anytime, anywhere with Xero; including reconciling, sending invoices, creating expense claims and recording receipts. Small business owners should not be in the weeds of their business – focused on accounting, but should be working to grow the business. Xero will give you beautiful software to take the heavy lifting out of accounting and give you that much needed time back. By integrating Xero with Deputy, business owners can automatically sync company and employee financials to create realistic financial forecasts. Kounta is a digital Point of Sale (POS) software system for companies that operate commerce in the cloud (and if you are not operating in the cloud yet, we want to give you the tools to get there). From payment processing and reporting, to inventory management and tip recording, Kounta is a powerful small business management system for companies operating in the 21st century. There are a myriad of POS systems to choose from today and Deputy has several favorites – all depending on your business needs. Any small business business owner knows the value of a POS that integrates with multiple solutions for them. That is part of why we think Kounta is valuable for SMB owners, it integrates with loyalty solutions, inventory management, and works with many receipt/label printers and cash drawers – all of this with no server to maintain. Integrating Kounta with Deputy provides greater insight into sales revenue and labor costs, enabling more informed decisions on all aspects of business management. For example, the Kounta-Deputy integration allows business owners to forecast the number of employees required during peak business times. In turn, this creates greater efficiency for business owners, ensuring time and resources aren’t wasted during the off-peak business days. You’re probably already familiar with Dropbox, the file sharing and secure storage software solution trusted by 500 million users across the world. Dropbox helps keep businesses organized and allows business owners and managers to access files at the drop of a hat. Small business owners can utilize the enterprise features of Dropbox to ensure each co-worker has the same access, management, security and sharing controls over company information. Shared documents allow for greater collaboration in real time. It also gives you the remote access and storage you need as the business grows without the maintenance or management costs of on-premise solutions. Integrating Dropbox with Deputy allows business owners complete backup of all Deputy employee data into Dropbox. It also integrates non-cloud POS sales data via .CSV files saved in Dropbox. Gusto’s delightful, modern, cloud-based payroll software is simple and affordable. The easy-to-use tool takes the weight off of small business owners by providing a paperless and straightforward solution to payroll that scales quickly to grow with businesses as they expand. Even more, with Gusto, all government payroll taxes and filings can be handled automatically. By integrating Deputy with Gusto, employee timesheets recorded via Deputy tools can be pushed into Gusto in a matter of seconds, which eliminates manual data entry. Also, business operators can automatically assign overtime with state laws inherently considered. Managing a business of any kind can be challenging. Thankfully, these top tech tools coupled with Deputy help manage daily operations so business owners can stay focused on growing their company, not managing it. The below video shows just how easy Deputy makes managing employees from any location. Want to learn how you can automate daily business processes? Try Deputy for free today at Deputy.com or call us at 1-855-6-DEPUTY (855-633-7889). The post Four Tech Tools For Smarter Business Operations appeared first on Deputy. Here’s some news you can file under “you asked for it, Deputy delivered”. 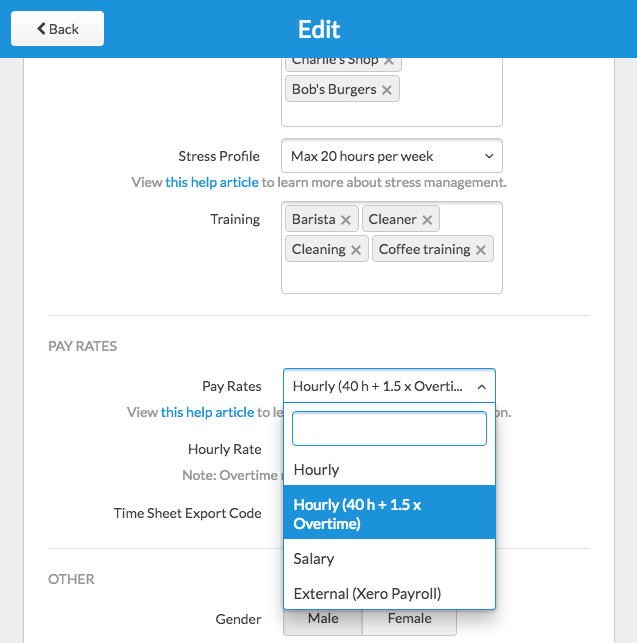 At the request of many Deputy customers, we have implemented a Pay Rates type which matches the basic overtime rule for hourly paid workers which prevail in most US states, industries and workplaces. The overtime rule is that for every hour worked in excess of 40 hours a week, employees are paid at 1.5 times standard hourly rates. We have made it very easy to apply this rule to any employee, so that the wage costs you see when scheduling, and in reports, are 100% accurate. The post 40 Hour Overtime appeared first on Deputy. Our new-look Android App – just the beginning. Recently, Deputy’s Android App users have been inundating us with requests for new and better features. So we beefed up our Android development team, and gave them the mission to make the Deputy Android App completely awesome. We’ve done a lot of work under the hood, and made significant changes to the look of the interface. You will experience greatly improved performance. You won’t see a lot of extra features today, but the hard work we have done will set us up to deliver more great features, more rapidly, in the next few weeks. This is a foundation for amazing things to come. The ‘Me’ screen is where you’ll now start and end shifts and breaks, and find upcoming shifts or past timesheets. So, go to the Play Store and upgrade now, stay tuned for some great features coming very soon, and keep up the great feedback and feature suggestions. The post Our new-look Android App – just the beginning. appeared first on Deputy. Location Enhancements. You asked for them, we listened! A number of Deputy customers have given us excellent feature suggestions on Location Settings. I am very pleased to say that we have just released some cool enhancements based on this feedback. Before I explain the enhancements, let me remind you that any customer can submit a feature suggestion (just go to Help>Feature Suggestions). I encourage you to do so, and I sincerely appreciate all suggestions. They help us make Deputy the best it can be for your business. You can now archive or duplicate a location. You’ll find these options in location settings. Archiving a location means it won’t clutter up your Schedule, but you can reinstate it, with associated employees and settings, at any time (unlike deleting a location, which permanently removes it). You can also duplicate a location, and choose to copy across associated employees, location settings, and payroll connections. We have made some changes to the way you can view locations. As well as the List and Map Views you are used to, we have added Swimlane View. This shows you what’s going on across all your locations – whether there are late employees, pending open shifts, pending timesheets, and more. Not only can see exactly what’s going on at a glance, you can take action! You can quickly message those who are working, or running late, or on break, at a particular location. Lastly, we have made it easy to view and schedule specific, common areas across all locations. on the Schedule screen, scroll to the bottom of the Locations dropdown menu, and you’ll find filters for all areas that exist in more than one location. I hope you enjoy these enhancements. I know that at least 100 Deputy customers will. We’re listening. Keep the feedback coming! The post Location Enhancements. You asked for them, we listened! appeared first on Deputy. There are lot of things money can buy but time isn’t one of them. At Deputy, we are all about saving time for our users. If we can save a Deputy user five minutes from having to do manual mundane tasks, then that five minutes can be better spent in doing something other than work: spending time with family, relaxing or looking after themselves. This is what our latest iOS release is all about. Now you can do scheduling and timesheet approval straight from the phone! No need to go back to the computer anymore. Fully responsive design for iPad and iPhone 6 plus. We’ve also moved things around – Employees shifts and clock on/off have been moved to the Me tab. The team tab has been dedicated to showing the complete team list. So, if you want to see who is on break or late, just head to the Schedule tab. Providing complete scheduling functionality on iOS has been one of our biggest requests. We have been working on it for over a year and our design and engineering team has made sure it’s near perfect and rock solid! 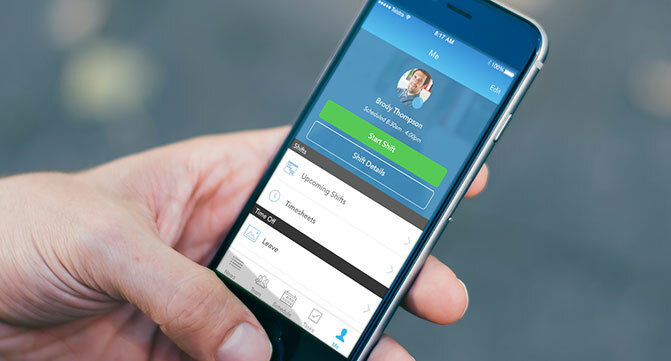 We are the only mobile app that provides full scheduling and timesheet approval straight from a mobile device. We are not done yet, in fact we are only just getting started. There are numerous updates coming to iOS in the upcoming months. Get the latest, head over to AppStore and download it today!! The post New iPhone update appeared first on Deputy. Here at Deputy we’re committed to making your life easier as a business owner or manager, so you can spend more time doing what you love. Which is why we’re excited about the release of our newest feature on iOS: Shift Trading. When an employee can’t work a shift it can cause of a lot of headaches for managers, so we’ve come up with a process that makes Shift Trading between employees as smooth and painless as possible. Employees can swap their shift with another employee. Swap may need approval by the manager. Note – the system admin/location manager can 100% control whether any form of shift trading is allowed. With the new Shift Trading options – Shift Offer and Shift Swap, we perform comprehensive checks in the background to ensure the right employee takes over the offered shift and you don’t have get involved. Shift Offer allows an employee to simply offer their shift, allowing other employees to claim it or their manager to fill it. Shift Swap allows employees to request their suitably qualified colleagues work one of their shifts. In exchange, they offer to work one of their colleague’s scheduled shifts. While Shift Trading is now only available for iPhone we will be releasing this for Android in the coming weeks, here’s a sneak preview of the new look. this feature can be accessed by logging in at http://once.deputy.com/my from a web browser on any device. To find out more and to start using Shift Trading take a look at our help article. 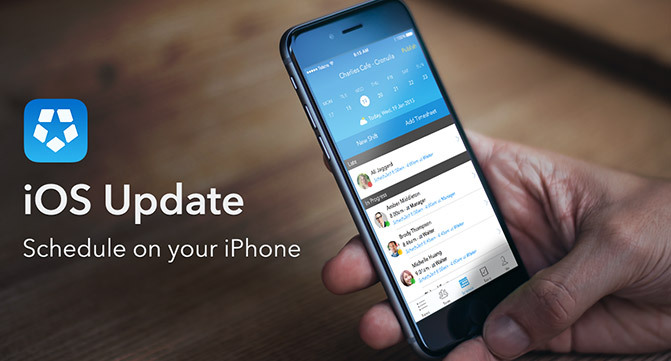 The post When I Can’t Work – Shift Trading now available for iPhone appeared first on Deputy. Grow Faster with Cloud Technology in 2016. The advent of enterprise level, low-cost technology powered by the cloud is continuing to transform the competitive landscape for many SMBs. With the number of US SMBs fully adopting cloud technology set to double by 2020, many businesses are already gaining a crucial competitive edge. Despite its rapid advance cloud technology still has many business owners confused: what is the cloud? where is it? how do I make use of it? At its heart cloud computing removes the need to install software on your personal computer or company network. Instead software (security / payroll / HR) is provided for you as a service by another company and accessed over the Internet. Quickly surpassing traditional keys to success such as product quality, value and customer service, Customer Experience (CX) is set to become the business metric for 2016. Best described as the process a company uses to track, manage and optimise every interaction with its users, customer experience is on the rise. A recent report by Gartner found that the number of companies expecting to compete heavily on customer experience has doubled (to over 80%) in the last 3 years. The rise of CX management technology is enabling SMBs to better understand their users and individual touch points in the sales cycle. Whether managing user feedback, personalising experiences or building customer loyalty, smaller businesses will use technology strategically in 2016 to optimise all areas of user interaction. In the chain of transactions a business operates, a tight integration of cloud services can provide compounding growth for many SMBs. Deloitte has found that SMBs using an above average number of cloud services tend to grow 26% faster and become 21% more profitable on average. There are a myriad of different integrations available to businesses operating cloud based software. A progressive SMB in the retail space might adopt and integrate cloud software to manage point of sale, accounting, employee management and payroll services. Each provides ample value but it’s via integrating services that companies can develop a competitive edge. The connected SMBs of 2016 will integrate cloud technology to manage all aspects of business operations. In doing so business owners will use the resulting data and insights to streamline operations, improve visibility, drive decision making and reduce costs. Tata Communications cite increases in productivity as the most common gain in adopting cloud technology. For many business owners this has meant adopting integrated cloud services to manage all aspects of their SMB, from sales operations to network security. Most importantly, the time saved via streamlining operations has allowed many owners to focus on what matters most – business growth. Many business owners are also seeing large gains in productivity from the coupling of cloud technology and mobile devices. Giving employees access to their files and colleagues anywhere, anytime and from any device can spearhead collaboration and workplace efficiency. Whilst workplace communication and tasking better handle workloads and improve communication with managers. In late 2015 Wakefield Research surveyed 700 SMBs about their cybersecurity measures. An interesting finding was the amount SMBs estimate a cyberattack could cost them in 2016. Respondents in the US estimated the cost would be over half a million dollars, while those in the UK and Australia estimated closer to $300,000. Concerns about cloud security and data protection are rarely backed up by a wealth of evidence. A Microsoft survey found only 20% of SMBs viewed cloud based solutions as less secure than on-premise alternatives. Although SMBs should always investigate the controls providers have in place, most vendors provide the latest, enterprise level security methods and encryption at a fraction of the cost of company managed alternatives. Many SMBs using cloud technology are already enjoying the benefits that levelling the playing field brings. Nearly 90% of all SMBs are forecast to use at least one cloud service by 2018. The more progressive will already be planning how to expand their portfolio, harnessing technology to drive their businesses forward. Getting on top of the latest services and integrations is a must for business owners looking for competitive advantage. For many businesses strategic use of technology will be the key differentiator in 2016. The post Grow Faster with Cloud Technology in 2016. appeared first on Deputy. All employees have a number of rights at work, which includes the right to privacy. In practice, you need to treat all personal information about an employee and their family as private and confidential. And there are of course laws to back this up. In the US, the laws around data protection and privacy rely on a patchwork of national legislation (the Privacy Act of 1974 which dictates how government agencies handle personally identifiable information (PII)), state regulation, and self-regulation. As of May 2015, 47 states have laws requiring notification of security breaches involving personal information. At least 29 states require the destruction, disposal, or otherwise making personal information unreadable or undecipherable. In practice, private employers typically recognize that they have a serious responsibility to protect sensitive personal information. And to do so, they implement their own robust policies, and use best-in-class technology to prevent the dissemination of their employees’ private information. With work schedules and rosters, if you’re using applications like Excel, you probably list everyone’s mobile numbers so that you can contact them to find out where they are if they’re running late, or find someone else to cover a shift, if they call in sick. But when you publish a schedule containing this information (i.e. employees’ personal cell phone numbers, not work provided mobiles), and pin it up in your workplace, you’re actually putting your employees at risk along with your business. Yes, it’s handy for a co-worker to use the list to find a replacement if someone’s called in sick. But what if it falls into the wrong hands? And while we’d like to think that this is highly unlikely, it does happen. Identity theft is becoming increasingly common, you may be unwittingly aiding and abetting a stalker, in the process opening up the potential for a harassment lawsuit. Many employers routinely use email to communicate anything and everything with their employees – the good, the bad, and the ugly. But when you use email for everything, it’s too easy to inadvertently copy or forward sensitive information to other parties. This of course can land you in all sorts of trouble and do serious damage to your employer brand. For conversations on remuneration, performance and professional development, choose your communication platform with care! Record keeping is a basic business requirement. It can be onerous, but it’s certainly not optional. In Australia, you must keep employee records for 7 years. This includes general details like the employee’s name, commencement date, pay rate, leave entitlements, and more. American-based businesses must retain basic payroll tax records for four years. And it’s prudent to keep records for events like workplace injuries for 10 years or more. But rather than keeping highly confidential employee data in paper files that are at risk of being compromised, an online system gives you secure but easy access to your files 24×7 with full audit trail. While you have obligations to retain employee data, you also have obligations to dispose of out-of-date information. Retaining employee information beyond the legislated requirements can expose your business to legal challenges against your data protection practices. While you may think your business is safe once you’ve introduced a robust, and compliant personal data protection policy, but if it’s not enforced, it’s essentially meaningless and won’t protect your business in the event of a claim. A personal data protection policy should be tailored to your business to take account of the particular personal data that you collect and retain. You must communicate the policy to your workers and monitor its use in the business. Getting your employees to sign the policy and keep a copy on their HR file gives you an audit trail and proof that the policy is practiced. 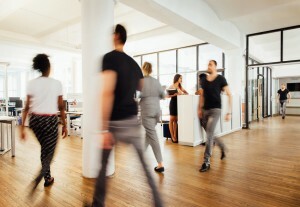 The post 5 ways you’re breaching employee privacy laws appeared first on Deputy.